When it comes to capturing and holding attention, video is by far the most effective medium out there today. Videos play an instrumental role in helping us break down complex materials and ideas into digestible bites, and they often do so in a visually appealing way. In regards to learning, videos help reduce reading time and boost overall retention and engagement, and the more interactive the video is, the better the results tend to be. In fact, interactive videos transform the learning experience from a one-way communication to that of an exchange, with the learner taking on a much more active role. We’ve already discussed how video is making an impact in the classroom for students and teachers alike. Now let’s look at how interactive video is leaving its mark on the corporate world. First and foremost, similar to how interactive video is transforming education in general, it’s helping companies improve their corporate training processes and systems as well. Specifically, interactive video changes the way content is delivered, making it more immersive and engaging. At the same time, this allows for greater standardisation, intelligence gathering, and feedback as well. For larger organizations, in particular, the potential for interactive video to improve learning and deliver efficiency savings is huge. Interactive video is quickly making its way into the marketing space as well. In fact, in a 2015 survey conducted by Animoto, an animated video maker tool, it was discovered that four times as many consumers would rather watch a video about a product than read about it. Also, according to the same survey, one in four consumers actually lose interest in a company if it doesn’t have a video they can consume. Interactive, story-based videos give consumers the ability to engage with the company’s brand on a whole new level. Choose your own adventure-style content, for example, offers up a multi-layer storytelling ability, so a company can interact with users in a visually appealing way. Another big use case for interactive video in business is more direct sales. Not only can a company tell an engaging story about its products through this interactive content, they can offer consumers a low-lift way to travel straight to the product page to make a purchase as well. According to a recent report, visitors who are prospective customers spend, on average, 2.6 times longer on pages with video than without. Coupled with the story-driven marketing we just touched on above, that increased time and attention on-site generally leads to increased click-throughs and sales. Speaking of driving actions through videos, this type of highly-engaging video content is transforming the product demo space as well. Now, companies don’t just have to rely on their storytelling abilities in order to communicate a product’s benefits, they can actually show the user everything that’s great about their offerings in an interactive way. This “don’t just tell me, show me” aspect helps give a complete overview of a product’s features and functionality, so that users can get the most out of their experience. And lastly, interactive videos are transforming how corporations gather feedback, from customers and employees. Regarding the former, if a company’s products cater to a lot of different people, it helps to have an efficient way to direct them to the right person or page. Or, if you’re in the market for a little helpful customer feedback to make your products and services better, an interactive video can provide a fun, engaging outlet with which to gather such information. Bringing a game-like aspect to this experience increases user attention and gives them plenty of freedom to make choices on-screen. The result is a more rewarding experience for the user and more valuable feedback for the company. 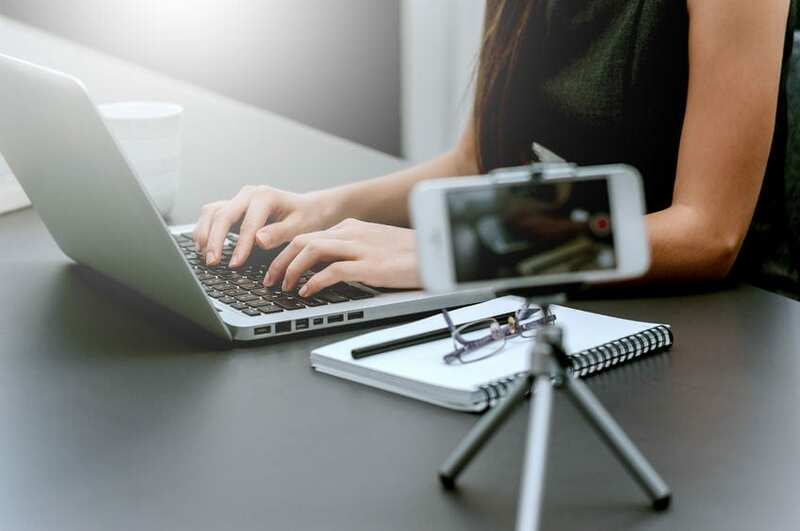 Any corporation that’s leveraging the power of the internet today to market and sell its products and services—or engage and train its customers and employees—can do so much more effectively by adopting the usage of interactive video. As we’ve shown here, there are a myriad of ways with which to apply this type of technology, all leading to increased engagement, attention, and, ultimately, sales. When it comes to capturing and holding attention, video plays a crucial role in helping to break down complex concepts and ideas in a visually appealing way. In short, interactive video is changing the game for businesses everywhere.